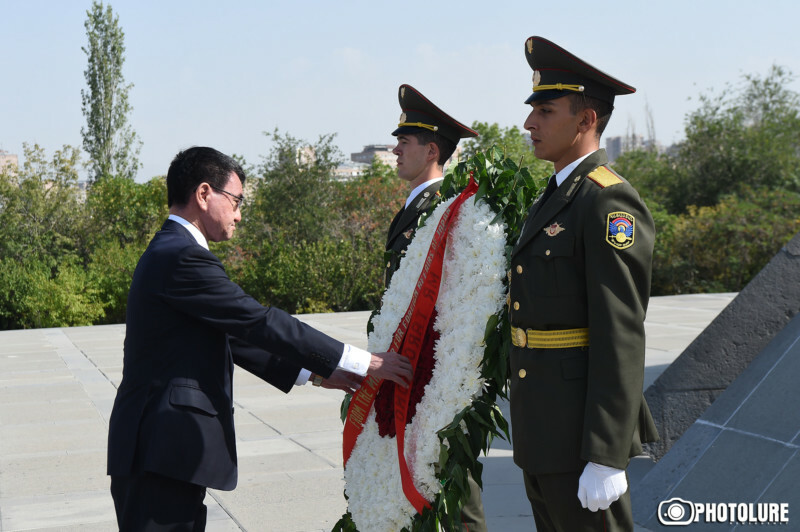 Japan’s Foreign Minister Taro Kono visited the Tsitsernakaberd Memorial today. Minister Kono laid a wreath at the Memorial to the Armenian Genocide victims and paid tribute to their memory with a moment of silence. Taro Kono has arrived in Armenia at the invitation of Armenian Foreign Minister Zohrab Mnatsakanyan.